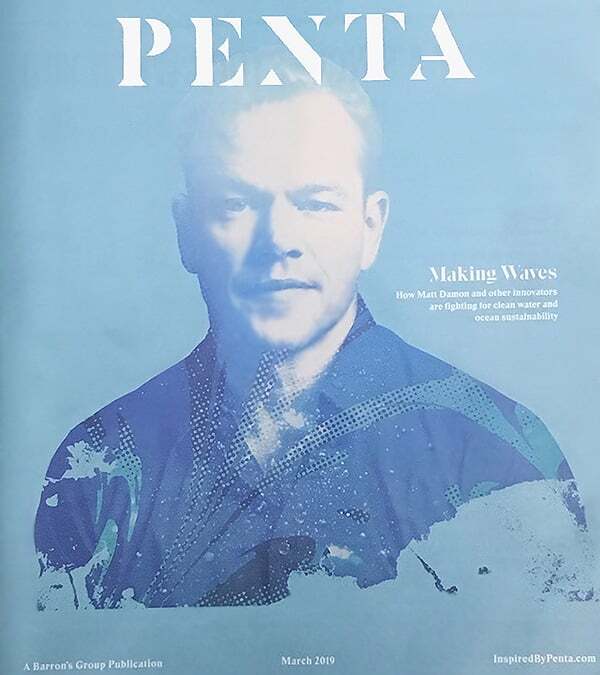 Barron’s magazine, Penta, says Nazmiyal, “holds one of the world’s largest collections of antique rugs”. Nazmiyal was recently featured in the March 2019 issue of Barron’s. They spoke with Jason Nazmiyal, one of the largest rug dealers in the world. Barron was curious about his favorite, most cherished antique rugs in his collection here in New York. Which intrigues most since Nazmiyal has been trading antique rugs since 1980. With over 3,000 pieces, Jason Nazmiyal is known for holding the world’s largest antique rug collection. In the article, Nazmiyal shares his favorite pieces with Barron. 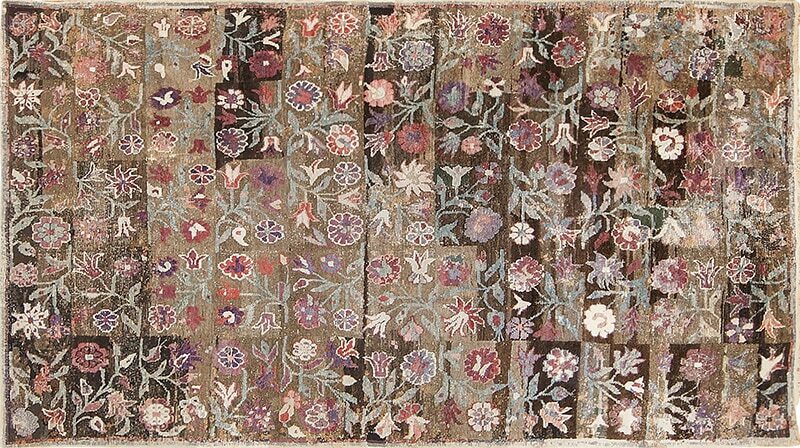 One of Nazmiyal’s most cherished piece is a small, antique Turkish village rug from the 18th century. It once belonged to American entrepreneur James F. Ballard. Nazmiyal says this is one of the best pieces in the world, and he is very proud to have it in his collection. His other favorite piece is one that fascinates him because of the mystery behind it. 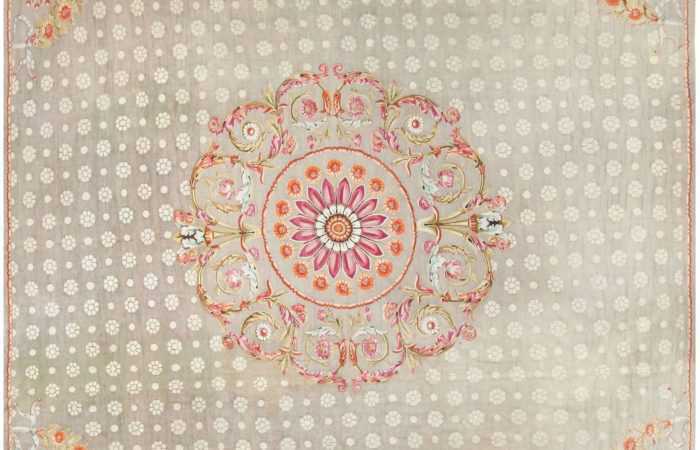 It is a grand carpet with Persian knotting. Displaying a field of flowers and pieced together like patchwork. He has no idea where it comes from, or even how old it is. He explains that although he has shown it to other experts, they are also just as puzzled. 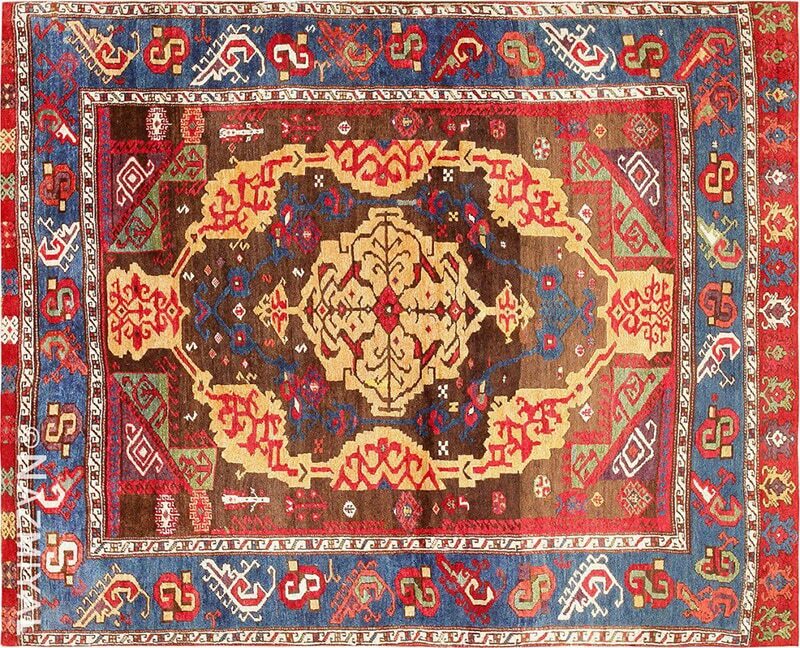 Nazmiyal has referred to this piece as the, “mystery rug” Due to the puzzling nature of this piece, it has made it challenging for Nazmiyal to place a price on. He explains to Barron that every rug he’s seen and loved, he has purchased. Whether it is the color, detail, or how he connects with a piece, every rug in his collection has truly captured his attention. 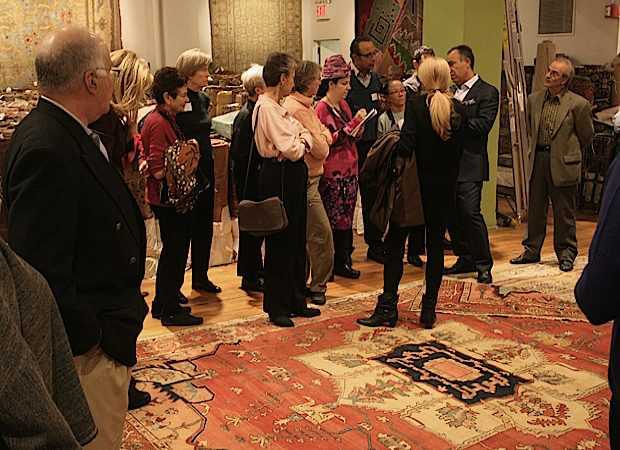 This rug blog about Barron’s naming us the largest collection of antique rugs was published by Nazmiyal located in NYC.